Creating a budget before the holidays arrive and sticking with it is the best solution. Even though most people subscribe to the wisdom that giving is better than receiving at Christmas, the same people also hope that the gifts they receive will be what they want. Some assure themselves of the right gifts by buying them for themselves. Nothing wrong in that as long as they keep the costs in control. 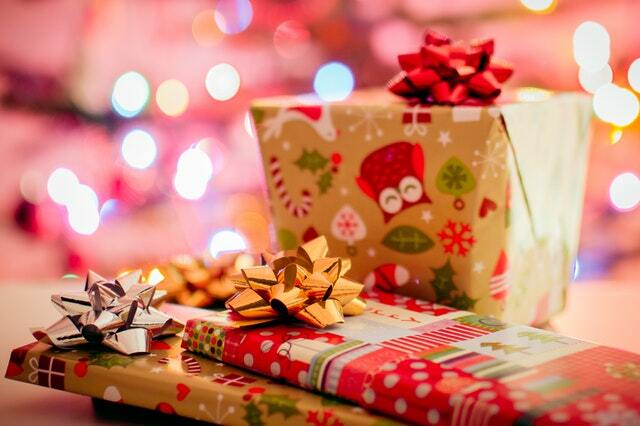 TD Bank surveyed holiday shoppers and reported that the average amount they expected to spend for gifts was $500. But when all is said and done, one in five (one in three in the Millennial group ) admit to spending more than they had planned — $263 on average. A lot of the overage is consumed in buying items for themselves. In doing so, these shoppers may sacrifice the ability to reach other financial goals they have set., such as building emergency savings or increasing retirement funds. Creating a budget before the holidays arrive and sticking with it is the best solution. The problem, though, is that while shopping, the shoppers see more items they would like for themselves. Ask for gift cards. That might have been a breach of holiday etiquette in years past, but it has become more common. More than half of Americans (56 percent overall, 67 percent of Millennials) say they do it. Consumers who were surveyed said they would rather get cards than traditional gifts. Be sure to use the value of the gift card to purchase what it is you want. You can convert the value of the cards into savings if that is your goal. Make a list and check it twice. Presenting a list of preferred gifts to your family and close friends will increase your chances of getting what you need/want. Sell gifts that you do not care to keep. Consider using eBay, OfferUp or Craigslist to sell non-clothing items. Shoes and clothing can be sold trough poshmark.com or thredup.com. Unused gift cards can be swapped out or exchanged via sites such as giftcardsgranny.com. Or you can start at the beginning and include the items you want for yourself in the initial budget. That will only work if you are honest about how your self-gifts will affect your overall spending. You’ll have to decide if you will have to trim your list if you are on it. Start early. Review what you did last holiday season. Open a separate savings account that anticipates what you are likely to spend this go-round. Automating the deposits into this account will spare you the temptation to bypass the arrangement to accommodate an immediate desire. Putting the savings into a high-yield account will increase the holiday fund and possibly allow you to shift the excess money into an emergency or retirement account when the season is over. Journalist/writer for more than 50 years. Pulitzer Prize nominee, 1983 for coverage of the first permanent artificial heart. More than 50 national, regional, local awards for news writing. Main writer for a memorial book for Deseret News' 150 th anniversary and for a book recounting the 1997 re-enactment of the pioneer trek from Omaha to Salt Lake City. Co-writer and editor of "True Valor," a book on the history of the artificial heart. Author of the book, Life Is Just A Bowl Of Kumquats, a wonderful story of a house wife and her trials with raising a large family.